IS IT THE CASE THAT LASTING POWERS OF ATTORNEY (LPA'S) ARE THE RIGHT SOLUTION? • LPA’s allow individuals to name others to help them in the management of their affairs if they should lose capacity or otherwise think they need assistance. LPA’S in their current form have been in existence since October 2007. They are arguably one of the most important tools for individuals as they get older. • For an LPA to be valid it needs to be registered with the Office of the Public Guardian (OPG). Currently some 2.5 million LPA’s and their predecessor documents Enduring Powers which are still valid are registered. 650,000 new LPA’s are registered every year. • There are two types of LPA. The most common is for Property and Finance. This allows named Attorneys (you should name more than one in case an Attorney predeceases the maker of the LPA) to manage the makers affairs in respect of Property and Finance. The second type, less prevalent but arguably more important is for Health and Welfare. This LPA allows the makers Attorney’s to make decisions about a persons Health and Welfare with Doctors, Hospitals, Social Workers, Care Homes and others if you yourself are unable to do so. With this LPA you need to have actually lost capacity to the extent that you cannot make decisions for yourself about Health and Welfare. • LPA’s sound the perfect solution for people who are getting older. A word of warning however from Denzil Lush, former senior judge in the Court of Protection and which is that you should never appoint Attorneys unless you absolutely trust them. This warning is against a backdrop overseen by him which is that an estimated one in eight LPA’s go badly wrong. This is because Attorney’s mostly sons and daughters of parents making LPA’s abuse their position. They do so by way of financial and other abuses against those they are supposed to be taking care of. 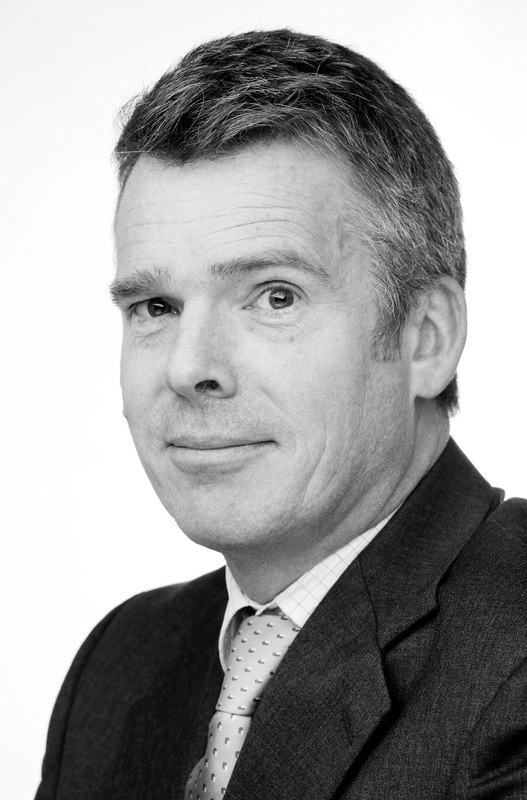 • It is the considered view of Denzil Lush, an acknowledged leading figure in his field that a better way of avoiding this type of problem is for people instead of making LPA’s to apply to the Court of Protection to have a Deputy appointed. This can be a person of the maker’s choice. The difference is that if a Deputy or Deputies are appointed they are supervised by the OPG and have to buy an insurance policy to cover off against wrong doings and mistakes. Deputies have to keep records and justify their spending. • Short of the recommendation above an alternative would be for the OPG to run training classes for Attorneys which explain their duties and what they can and cannot do when assisting people under an LPA. Their should also be a requirement for Attorneys to submit reports annually. Presently this is not done. Bad abuses apart this is a main reason as to why Attorneys fall foul of the obligations and requirements that they are required to operate under. • The above is an overview only. For a free appointment and to find out answers to the questions that need answering and to get the care you or a loved one need email Andrew Douglas or his team on ajd@awdrys.co.uk or call on 0800 072 8636. Alternatively visit our website www.abdcare.co.uk. We have offices In Marlborough, Royal Wootton Basset, Devizes & Chippenham. Much has been made recently in the media of agreements reached in a domestic and social setting and their legal effect, most notably in the form of the recent Sports Direct case. Mike Ashley’s fascinating and notorious business practices aside, the case is notable for its re-affirmation of the current position on such agreements. In brief, the requisite elements for a valid contract to subsist are: 1. An Offer, 2. Acceptance, 3. Consideration (i.e. some value offered by the parties, commonly goods, services or money) and 4. An intention to create legal relations. There are of course other considerations beyond the scope here. Historically, there is a wealth of case law to confirm that agreements reached in a social or domestic setting are subject to a rebuttable presumption that the parties do not intend their agreement to be legally binding, the classic example being an agreement reached at the pub with friends (bearing odd similarities to Mike Ashley’s recent case). As above, this presumption is rebuttable, effectively meaning that it can be defeated by the production of evidence that the parties did actually intend to be legally bound by their agreement. 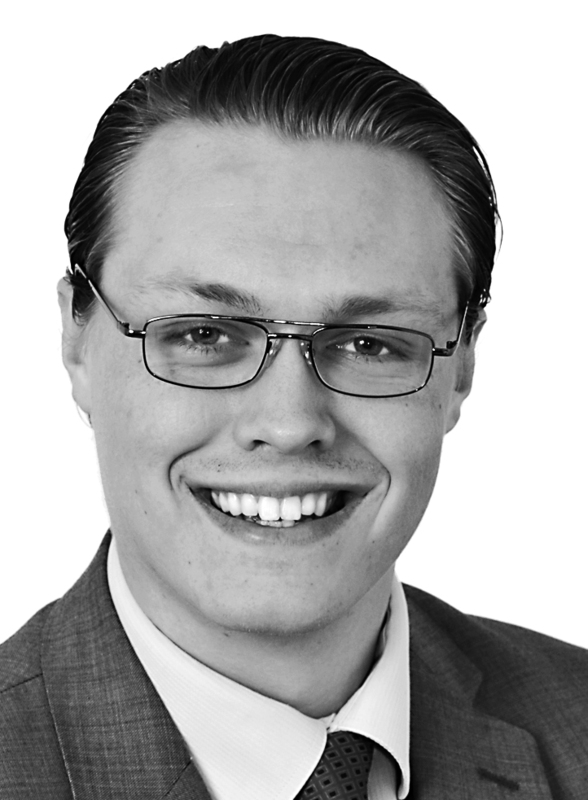 In contrast with the position on social and domestic agreements, there is a presumption that parties to a commercial agreement do intend to be legally bound unless the contrary can be shown. The brief facts of the Sports Direct case are that Mike Ashley was drinking with various members of his professional team including Jeffrey Blue, an investment banker involved with Sports Direct, at a London pub. During the evening Mr Ashley told Mr Blue that, should Sport’s Direct shares reach £8.00 a share, he would pay Mr Blue £15m. Mr Ashley, who knew Mr Blue affectionately as “Jeffers”, confirmed in his statement that he could not remember the events of that night and that all parties had drunk heavily. In any event, it was argued that there had been no intention for this be a serious and binding agreement. Mr Blue’s legal team argued that this scenario did not fall within a social setting, despite the location and consumption of alcohol. In justifying this argument, there was some exposure of Mr Ashley’s unorthodox business practices, which have been seized upon by the media, no doubt being Mr Blue’s intention. Despite the apparently commonplace circumstances of Mr Ashley holding business meetings in clubs, pubs and casinos as well as drinking and worse during such meetings, it was held that this agreement was made in a social setting and there was not an intention on Mr Ashley’s part for it to be binding. The agreement was therefore held not to be binding on Mr Ashley and Mr Blue was furthermore ordered to pay his own and Mr Ashley’s legal fees totalling almost £2.5m. One of the morals of the story is of course to take legal advice in relation to any agreement you wish to have binding effect. Were Mr Blue’s agreement formalised in writing and agreed in a more sober setting, the case would no doubt have been different. For more information contact our Commercial Team at any of our offices. LITTLE WHITE LIES - THEY COST MORE THAN YOU THINK! In almost every property transaction a seller (or landlord) is required to provide replies to standard pre-contractual enquiries. In residential transactions these will usually be in a Property Information Form and in commercial transactions they will be by way of CPSE’s. It is important that these are answered correctly and updated if anything changes before sale as otherwise the buyer may have a claim for misrepresentation. Misrepresentation is a false statement of fact made by one party to another party, which has the effect of inducing that party into the contract. The recent case of Quilter v Hodson Developments Ltd  is a warning to all those providing these replies to enquiries. In this case the developers, Hodson Developments Ltd sold an apartment in a development to Mrs Quilter for £240,000. In their replies to enquiries Hodson had stated that they were not aware of any disputes in relation to the property. It later turned out that there had been disputes over the communal central heating and hot water system which serviced the development. In Court the Judge found that there had been misrepresentation and awarded Mrs Quilter damages of £15,000 – being the difference between the price paid for the apartment and the value having regard to the heating and water issues. The case serves as a caution that omissions and failure to update a buyer or tenant on any issues raised, even after exchange of contract can result in serious and expensive consequences. For more information contact our Commercial Dept. FAMILY FUN DAY EVENT IS A GREAT SUCCESS! Chippenham Family Fun Day took place on 18 June 2017 at John Coles Park, Chippenham. The weather was a gloriously hot summer’s day as 1000’s people gathered to enjoy the attractions, stalls, music, activities and more including the Awdry Bailey & Douglas Stand to play Hoopla, also Hook a Duck and win prizes!! The free Family Fun Day event was hosted by the Chippenham Council and supported by Awdry Bailey & Douglas Solicitors as the Lead Sponsor. A fantastic £129.60 was raised by the Awdry Bailey & Douglas Stand, monies of which will be donated towards the Majors charity; St Nicholas School. 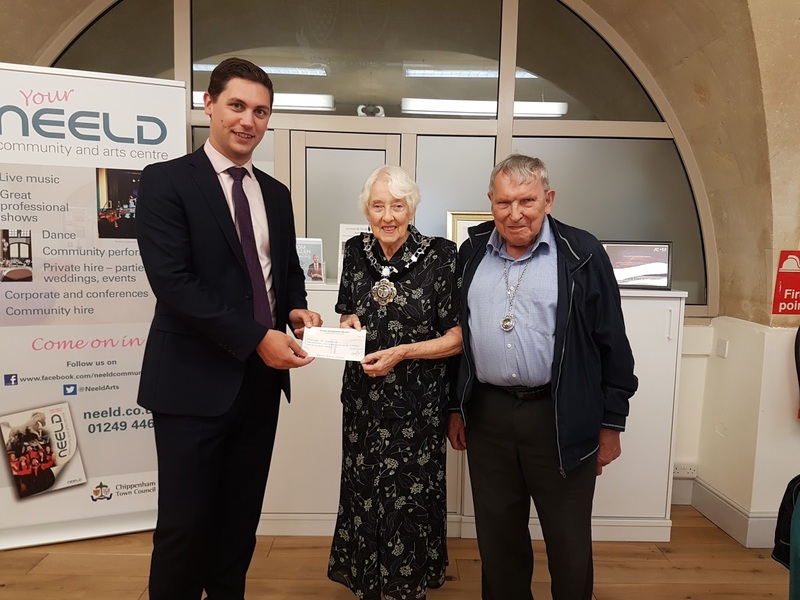 Awdry Bailey & Douglas Office Manager, Tom Paget (Associate Solicitor, Commercial) who is based at the firms Chippenham office presented a cheque to the Mayor, Councillor Mary Norton. Remaining non-perishable edible prizes from the Awdry Bailey & Douglas Stand were donated to The Trussell Trust Food Bank charity which is also locally based. The Trussell Trust Food Bank helps to stop hunger and gives support to people who are in emergency crisis. A HUNG PARLIAMENT AND WHAT IT MEANS FOR SOCIAL CARE? THE DECISION TO HOLD A SNAP ELECTION? Clearly the decision to hold a snap election was not because of the on going crisis in the elderly care system which is caused by too much demand and too little funding. THE ISSUES IN SOCIAL CARE? A long list could be compiled. These include self funders paying 43% more for the same care bed as compared with somebody funded by a Local Council. The quality of care failing the “Mum test”. The minimum wage in the sector going up, but some cash starved councils only paying the equivalent of £2.25 per hour. Care homes charging for rooms after a resident’s death, not to mention a fear of complaining in case care homes serve notices to quit on residents. The list could go on. DOES A NEW GOVERNMENT OF WHATEVER COLOUR HAVE AN ELDERLY CARE AGENDA? The Conservatives say that you must pay for your social care from your assets to include your house until you having only £100,000 remaining. This is subject to a CAP on the maximum anybody should pay for their care. The amount of the CAP is unknown. The Labour party propose that £8bn is put into social care over the next five years and that a National Care service be set up whilst the liberal Democrats propose a 1p increase on income tax, with the money raised being applied to both the NHS and social care. WHAT NEXT AS A RESULT OF A HUNG PARLIAMENT? The issue of social care reform is now likely to be placed into the too difficult box meaning that none of the manifesto proposals will get implemented. That said the Green Paper proposed by the previous Conservative administration may well be produced but because of lack of consensus and like the previous 21 Green and White papers over the last 20 years it will be kicked into the long grass. WHAT IS THE BEST THING TO DO? Understand the existing rules under The Care Act 2014 and proceed accordingly. Waiting or doing nothing in relation to social care is not the best option. This approach, with this issue, only results in people not being organised and their care costing more. SUMMER FUN IN JOHN COLES PARK AT THE FAMILY FUN DAY! Chippenham Town Council will host the free Family Fun Day in John Coles Park on Sunday 18 June 12 noon – 4 pm which is supported this year by Awdry Bailey & Douglas Solicitors. Following on from the success of this event last year, the Family Fun Day returns with lots more exciting activities for everyone to enjoy. The MC for the day Andy Thatcher from Chippenham FM will lead everyone through the entertainment. Dance performances by local groups the Clogettes, Dancing Academy and Phoenix Dance Club will take place on the bandstand between 12 noon and 2 pm. The line-up also includes a petting zoo from Dave and Ewe, a circus skills workshop by Clare’s Circus and a display by South Wilts Falconry. Chippenham Museum will showcase objects and costumes from their collection and back by popular demand will be an assault course, bouncy castles and Stanley Park will host the inflatable football pitch in partnership with Swindon Town FC Football in the Community. Don’t forget the hours of fun at the Splash pad!! A selection of local charities and community groups will be joining in the fun, each with an information stand with activities and games to have a go at such as face painting, tombola, lucky dip and many more including the Awdry Bailey & Douglas stand with Hoopla! This year, parking will be limited to blue badge holders only. Visitors are urged to leave the car at home, if possible, and to walk, cycle or use public transport. Those who do have to drive are asked to use the nearby public car parks rather than the residential roads close to the park. CAN YOU AFFORD TO RIP? · Benjamin Franklin is attributed as saying “Nothing is certain except for death and taxes”. Although the former American founding father is only attributed with this famous quote, one thing today which is certain is that the cost of a funeral is forever rising. · In 1992 the average cost of a funeral was said to have been £950. In 2005 it was £3,456 whilst in 2016 it was predicted to have risen to £4,194 and is still rising. · This increase converts to average burial fees being £1,755 and cremation fees being £714. Some say that the increases are akin to a stealth tax. The increases in cost are intended to cover the cost of plots, chapels of rest and ground maintenance. · A partial solution to the ever rising cost of funerals, allowing you to RIP is to buy your future funeral package at a fixed price today meaning that you do not have to worry about future increasing prices. · There are two types of funeral plan, being either a whole of life insurance policy which typically takes the form of monthly payments meaning the plan is worth whatever the plan is worth when you die. The alternative is a lump sum payment now for the actual cost of your funeral. Your money is paid into a trust which if regulated by the Funeral Planning Authority guarantees your funeral costs at whatever the price is whenever you die. · Whether you want a basic, average or luxury funeral a funeral plan is something which everybody over 50 needs to at least consider. Awdry Bailey & Douglas Solicitors was proud to support and take part in the annual Rotary Charity Golf Classic event at Manor House Golf Club, Castle Combe last week in aid of Julia’s House Charity. A fantastic amount of over £10,000 was raised on behalf of Julia’s House, a local charity based in Devizes that provides a vital service to children in Wiltshire with life limiting and terminal illness, both at home and also in their hospice. Organised by The Rotary Club of Chippenham, this successful event took place at the spectacular Manor House Golf Club, Castle Combe which nestles in 365 acres of rich parkland and is regarded as the “hidden golfing gem in the Cotswold's”. A super day was had by all including ABD team: Tim Hotchkiss (ABD Partner), Alexander David (ABD Partner) also Simon Ewings and Richard Brooks from Monahans. · Given the ever growing demand for elderly care services, Care Homes perhaps surprisingly close at an alarming rate. A principle reason is the lack of resources that local authorities have to meet need, combined with the government’s sticking plaster approach to reform and making good. · In 2016 some 144 Care Homes plus closed. Additionally and reportedly 58 of the closures provided less than three months notice to their residents. Given that we are one of the very richest nations in the world this cannot be right. · One reason so many Homes close quickly is because when they make their decision to close, staff leave quickly meaning a Home cannot stay open. · When a Home closes stress for the residents and their families is inevitable. New Homes have to be found and in the process the vulnerable suffer. Many say the stress harms the health of the frail because they are taken away from carers who residents inevitably develop close relations with. · The reason many Homes are closing is because Councils are driving down the fees that they are willing to pay, whilst the Homes themselves are enduring unprecedented rises in running costs largely because of increases in the minimum wage. What we do know is that the Tories if they get back into power will publish a Green Paper in the autumn on the future of adult social care. · There seems to be very little good news to report in the sector largely because those with influence and power have been unwilling to make political decisions about what needs to be done. There is also a lack of ideas making discussion at the top difficult to start. Let us hope that our new government can find the time and the inclination to properly overhaul a situation which demands reform and is a disgrace to our nation. WHAT HAS BEEN SAID SO FAR ABOUT THE FUTURE OF ADULT SOCIAL CARE IN THIS ELECTION? · The Tories as expected want to talk about BREXIT and to an extent the other parties have to follow their lead. There are of course other issues, not least of which is the future of adult social care, which ultimately will require political decisions to be made. · So far not much has been said, but then the manifestos have not been published. Who knows what will be in the manifestos on this subject when no party is committed to actual proposals for reform and there is no big idea. · What we do know is that the Tories if they get back into power will publish a Green Paper in the autumn on the future of adult social care. 1. Requiring people to ring-fence some of the value in their properties to pay for social care received in their lifetime. The sum of £70,000 has been articulated which of course is the same number as the proposed CAP on how much anybody would have to pay for their care in their lifetime recommended by Andrew Dilnot in his report prior to the last election. 2. Encouraging people to invest in insurance products and bespoke ISA’s to pay for care. The only problem with this at present is that no products currently exist combined with the fact that the insurance industry has no appetite for an insurance based solution. 3. People sacrificing on a compulsory basis part of their income and/or paying National insurance contributions beyond the age of retirement. This solution will of course impact most on the less well off in society and at present the politicians don’t have an appetite for imposing this solution on their electorate. · Given the ageing demographic, which in other situations should be a celebration let us hope that there will be some blue sky thinking by somebody with influence and power. In particular that any original thought extends beyond loosening the triple lock pension guarantee and integrating the NHS system with adult social care. Something more is certainly required. Hopefully something constructive will appear in the manifestos of the main parties, which push starts a political debate and provides a constructive solution. Is it a “U turn” or something else? • The predicted “Death Knell” in the governments intended death tax happened last night. The savage rises in probate fees are no more, or at least for the present! • The coup de grace took place yesterday when ministers announced that they would not be pushing ahead in this parliament with proposals to increase probate fees which in some instances would see them rise by as much as 129 times more than at present. See earlier blogs for the detail on the intended graded system. • “The Non – Contentious Probate Fees Order” which provided for the increases, was thrown into disarray just prior to the Easter break. This was because the Parliamentary Joint Committee on Statutory Instruments savaged the proposals by saying that because the proposals were more akin to tax increases than fee increases the Lord Chancellor could not proceed because she did not have the power to do so. • As a consequence lawyers and other interested parties were preparing for a possible judicial review if the measures were pushed through. • The government does of course make no admissions about a “U turn” and simply says that because of the snap election decision there is not enough parliamentary time left to allow the issue to get onto the statute books. Whether the fee increases will re emerge if the government is re elected remains to be seen? At present this seems unlikely especially as the present Lord Chancellor does not appear to have the respect of the judges and therefore may not be re appointed in any event. • That said the proposals if made law could have raised £300 million pounds. So where will this loss in revenue now come from? Clearly wait and see but not until after the election. That said for most people yesterdays apparent “U turn” will be good news for many. IS THE GOVERNMENTS GREEN PAPER DOOMED FOLLOWING THE DECISION TO HOLD A SNAP ELECTION? · A surprise indeed that we are all heading for the polls only two years after the last election. The question is will it change anything in the adult social care system. · The last election did because shortly after being elected David Cameron postponed the Care Cap he campaigned on until 2020 at the earliest. People will recall that this was a government pledge/promise that the maximum anybody would have to pay in respect of eligible elderly care costs would be £72,000. · The present government is committed to delivering a green paper in the autumn discussing an overhaul of the care system. All major parties are committed to the concept of a discussion on the subject knowing that the present system is almost broken and underfunded no matter what the present government says. This election will inevitably result in a delay. If a labour government wins (unlikely if the polls are to be believed) they will want to review its remit and put their own spin on it, and if the Conservatives win they will be behind the game line by some seven weeks the time taken to fight the election. · It is however, vital that a Green Paper is published and a proper discussion takes place for all the reasons that those involved or contemplating involvement in the care system know. 1. Care homes charging for rooms after a residents death. 2. Fear of complaining because of a worry about reprisals and care homes serving a notice to quit the home. 3. Self Funders having to subsidise those supported by local councils and paying up to 43% more. 4. Charges for unexpected fees such as trips to medical appointments and the unwillingness of care homes to cap increases in fees for self funders. · Interesting times ahead and in the short term what will actually be in the political parties manifestos about reforming social care. ARE ROBOTS THE FUTURE IN RESPECT OF ELDERLY CARE? · The latest message of doom in the care system came but a few days ago from the Chairman of the Home Care Association. He said the system was close to collapse. This mirrors Age UK’s prediction that the adult social care system will begin to collapse this year. · The number of over 75’s is according to the office of National Statistics expected to double by the year 2040. This is at a time when an estimated 900 care workers a day quit their jobs, of which 60% leave the industry altogether. A consequence is that both time and consistent care in the industry cannot be given. · The governments answer is that an extra £2bn is being provided to the sector over the next 3 years. That said there are not enough people to perform the caring jobs which already exist. The Governments Green Paper in the autumn on adult social care needs to address this issue amongst the many other problems the industry faces. · The Green Paper could do worse than look at the thought processes which are on-going in Japan which, like every country in the world has it’s own similar crisis in adult social care. · The Japanese ageing population will need 1m new nurses by 2025. The problem they have is that they do not have enough people in the country to train. As a consequence they see a solution as being to introduce care giving robots, “the human support robot” to assist. Robots of this nature already exist in Japan. They can obey voice commands to fetch medication, draw curtains, stretch with their extendable arms to get items which are high up and pick up objects. · Clearly developments in the Robotic world are on-going. Help for many from a Robot can be seen as more dignified than from a human. Also it saves importing people from other countries and which in turn deprives those countries of their own caring resource. · One question is, will our culture be prepared like the Japanese to consider Robots as a partial answer to the crisis in the sector. Is their the will and of course the funding to explore this route. Certainly and at the very least the Governments Green Paper needs to discuss this possible partial solution. DISABLED/VULNERABLE CHILDREN v MENTAL CAPACITY ACT ? It will come as a surprise to some parents and carers to discover that they do not have the automatic right to make decisions for their older teenagers and adult children with Special Educational Needs. The Mental Capacity Act (2005) is designed to protect and empower individuals who may lack the mental capacity to make their own decisions about their care and treatment. When a person turns 16, the starting point is to assume they have capacity to make decisions for themselves (even though they are still legally a child until 18). The law says a person must be given relevant information in an appropriate format and time to understand it before a decision on their capacity is made. So whilst you are considering the whole question of post-school options, you will also need to think about how much actual input you are legally given. There are two key points to consider. The first is how to remain in control and second is what arrangements you can put in place to manage the finances. The following is a quick guide to the options available to you. A Trust can be set up into which money can be deposited for the benefit of the child but with the control remaining with the Trustees (be it parents, relatives, guardians). There are a number of decisions which will need to be made here to include the type of trust and its purpose. It will be necessary to distinguish between those difficulties that a young person experiences from birth and those that happen as a result of an accident. So for the first category you would need a Disabled Trust and the second might require a Personal Injury Trust. To qualify for a Disabled Trust the beneficiary must be a disabled person. For this purpose a disabled person is one who within the meaning of the Mental Health Act 1983 is incapable of managing his affairs, or qualifies under a 'benefits test'. ‘Mental disorders’ such as bipolar disorder, schizophrenia, autistic spectrum disorder, learning disability (such as Downs syndrome) are also conditions which enable a person to qualify as disabled, if, as a result of having the condition, they are incapable of managing their affairs. A parent or guardian can place their own money into this type of Trust. For a Personal Injury trust to be relevant the child needs to have received compensation as a result of an accident and it is only that money which can be put into the trust. For both types of Trust tax and DWP benefits need to be considered. There is then the question of who can benefit from the trust post death or should it then be wound up. Whichever Trust is chosen it will need to be registered with the revenue and annual income and capital growth accounted for. The above is an overview only. For a free appointment and to find out answers to the questions that need answering and to get the care you or a loved one need email Andrew Douglas or his team on ajd@awdrys.co.uk or call on 0800 072 8636. THE DEATH KNELL FOR THE DEATH TAX? Having reported recently on the proposed increase in Probate fees to help fund the running of the courts and tribunals system a problem has arisen. An influential Parliamentary committee, named the Parliamentary joint committee on Statutory Instruments says that the Lord Chancellor’s decision to increase Probate fees in some cases by up to 129 times more than presently required, is more in line with a tax increase than a fee increase and should be referred back to both Houses of Parliament. This decision means that the proposed fee increase could now be delayed or scrapped altogether. It also means that even if the fee increase is approved it could be challenged successfully in the courts especially as the increase was opposed by almost all respondents during the consultation process. The government remains resolute with its plans. That said the fee increase will be considered by Parliament after the Easter break. As a result let us watch this space since it may be the death knell for the death tax? Recent reports in the media have highlighted the problems that can arise when buying, or indeed selling, a leasehold property. Leasehold properties can be attractive for a variety of reasons, not least because they are often a relatively affordable option in a property market which can be increasingly difficult to break into. The purchase of a leasehold property is typically accompanied by two additional annual charges, Ground Rent and Service Charge. Ground Rent is an amount paid to the freeholder or to the superior leaseholder if the property is sub-let. The Service Charge covers the cost of the maintenance and upkeep of the site the leasehold property is a part of; it may also provide for a reserve fund for unforeseen expenses or for a large maintenance capital outlay. The Lease will provide details of how the Ground Rent and Service Charge will be calculated and/or apportioned between the different leasehold properties. It is very important to scrutinise the terms of the Lease. Provisions such as allowing for a doubling of the payments every few years are a red flag, as are provisions allowing for high percentage increases. In the case of Arnold v Britton (2015) a clause that provided for annual increases of 10% compound interest to the Service Charge in a 99 year lease was upheld by the Supreme Court. This was despite the fact that it would result in payments of approximately £1 million per year by the end of the term of the Lease. The court said that the purpose of interpretation was to identify what the parties had agreed, not what the court thinks they should have agreed. The court’s function was not to relieve parties of the consequences of imprudence or poor advice. A leasehold property’s freeholder, or their Management Company, is obliged to provide 3 years of accounts and to disclose any disputes with Tenants regarding the service charges as part of a purchase transaction. This information is very important in ensuring the property being purchased is being correctly and fairly managed. As a seller, if you have unwittingly purchased a property with escalating service charges you could find yourself out of pocket not only due to the increases but also because your property becomes so unattractive that you cannot find a buyer. For further information contact a member of our Commercial team at our Marlborough Office on 01672 518620. Buying a house? Think you know what you are paying for it? Of course you do.....or do you? If you are buying a house that is held under a lease (instead of buying the freehold) you might be thinking that you can buy your freehold easily for a nominal sum. However there is a growing trend of house builders selling the freehold to investment companies who then ask for big sums in return for selling the freehold. The developers are allowed to sell the freehold as rights of first refusal apply to flats but not houses. We know of one case where a developer was willing to sell the freehold to the homeowner for less than £3,000 but once the freehold was transferred to the investment company they wanted over £30,000. That's ten times as much! If you are in this situation we can help. Did you know there is a statutory process which will enable you to buy your freehold after 2 years? This process will also establish the price and the legal fees you need to pay meaning you will not be left having to negotiate with an investment company seeking to extract as high a sum as possible. If you would like to talk to someone please contact a member of our Commercial Team at any of our offices. AIRBNB - PROPERTY OWNERS PLEASE PROCEED WITH CAUTION! Airbnb is an extremely popular online platform linking up property owners with spare rooms with travellers and holiday makers looking for accommodation. Going away for a week? You can earn the money back that you spent on holiday by letting out your flat while you’re away. However, Airbnb users who own leasehold properties could find themselves in breach of the terms of their lease. If you own a flat in a large building it is likely you own it under leasehold which will almost certainly include a ‘user covenant’ reading something along the lines of “not to use the demised premises for any purpose whatsoever other than as a private residence”. The Upper Tribunal (Lands Chamber) held in a recent case that occupation by travellers/holiday makers and other short term lets through Airbnb cannot be regarded as falling within the definition of ‘private residence’ due to the lack of permanency. If you’re letting out your flat or a spare room through Airbnb you may just find yourself in a bit of trouble. And to throw another spanner in the works from 1st January 2017 London homeowners using Airbnb for short term lets are required to apply to the council for planning permission for a ‘material change of use’ if they wish to rent out their property for more than 90 days per year. Airbnb is a convenient idea that has clearly proven successful for millions of people, just ensure you read the terms of your lease and Airbnb terms and conditions carefully before continuing. Contact any of our offices for further advice. THE AGEING DEMOGRAPHIC IS TRULY UPON US! We all know that we are living longer. Recent news that women born in 2030 can expect to live to 90 if you are South Korean and 85 if you are born in the UK is potentially good news. For men it is slightly shorter namely 84 if South Korean and 82 if born in the UK. The lead researcher behind the recent report has said that there may be no barrier to how long people can live. Indeed a book entitled “The 100 year life” written by Lynda Gratton and Andrew Scott says that potentially the age a person born now can expect to live to in the UK is 105. Further, some commentators say that there is already alive on this planet somebody who will live to 150. Clearly a longer life span is to be commended but there also needs to be a decent quality of life. This is why funding in our long term care system needs to be addressed as does the quality of the service provided. In addressing the subject collateral issues include improved diet, appropriate resources and education. If the news about longevity is correct and there is probably little doubt that it is, the issues concerning the funding crisis in long term care in this country should be of fundamental concern to everybody. This is because it is likely that every man and woman in their lifetime will be involved with the system either for themselves personally or on behalf of someone else. Solutions or at least part solutions have been described in previous blogs. Clearly more money is an important part of the solution. Other things such as quality of care and delivery are also important. That said these other things should not be used as an excuse to side step the real issue which is the need for substantially increased funding. As said before in earlier blogs a grown up cross party political discussion does need to be started which in turn needs to involve interested stakeholders and the public at large. Clearly there is a long way to go and a lot of media coverage before this issue is resolved. The subject is a changing and moving target which no matter how difficult has to be resolved. Despite all of the above it is still vital that the existing system is understood. It is the need to understand what the system can and cannot provide, combined with the need to be persistent and to get advice early that is key. The above is an overview only. or simply call on 0800 072 8636. CELEBRATING BUSINESSES IN STYLE! GREAT GATSBY STYLE! A fabulous evening “roaring 20’s” style was held in the Neeld Hall, Chippenham on Thursday 23 February 2017 courtesy of Chippenham BID (Chippenham Business Improvement District) with Awdry Bailey & Douglas Solicitors being the Main Sponsor. The event was held in celebration of local businesses in and around the town. Over 150 guests attended. Antiques Journalist, Writer and broadcaster Marc Allum presented the Awards. The evening started with a drinks reception and welcome speech from Matt Powell, Interim BID Manager followed by an address from ABD Commercial Solicitor Tom Paget, who is also a director of Chippenham BID. This was followed by a delicious 3 course dinner. The main award for Chippenham Business of the Year was presented by ABD Partner and Family Law Solicitor Alexander David. Following the awards guests had the opportunity to take a spin at the casino, with all profits donated towards the fantastic Chippenham based charity Doorway, before carriages at 1.00am. ABD would like to once again congratulate all of the finalists and in particular the winners of each category. The evening was truly a fabulous one, and thoroughly enjoyed by all who attended. A fantastic £930 in total was raised for the event charity Doorway from donations and the casino! Want to see more? CLICK HERE www.pinterest.com and take a look at our Pinterest page Chippenham Business Awards. On Friday 17th February 2017, anyone following the business news will almost certainly have been excited to hear of Kraft-Heinz staggering $143billion (£115billion) bid for Unilever. When the news was announced, shares in Unilever rocketed by 13%. Unilever, a multi national (British Dutch) consumer goods company, own such well known brands as: Marmite, Ben & Jerry’s, Knorr, Radox, Magnum and Hellmans. Kraft-Heinz own such brands as . . . well Kraft and Heinz. A Kraft-Heinz takeover of Unilever would clearly be historic and provide Kraft-Heinz not only with a larger share of their existing markets, but also the opportunity to diversify into some of the other markets in which Unilever has products. Unfortunately however, the bid made by Kraft-Heinz (which was 18% higher per share than Unilever’s closing share price the preceding day) was rejected by Unilever on Monday. Unilever has since released a statement to advise that Kraft-Heinz offer had "no merit, either financial or strategic". Many are now wondering what circumstances surround this and quite why the bid was made. Some speculate that Warren Buffet, who is a major shareholder in Kraft-Heinz, is simply a big fan of Marmite, and others that there is more to the offer than is readily apparent. Unfortunately, it seems we are unlikely to find out. WILL THE GOVERNMENTS PRE CHRISTMAS BOOST TO ADULT SOCIAL CARE FUNDING ACTUALLY HELP? The pressures which exist in properly funding Adult Social Care given the ever increasing ageing population are hardly ever out of the news headlines. Most recently the Chancellor’s autumn statement and the lack of reference to this issue stimulated debate. There then followed on the 15th December 2016 the Communities and Local Government Secretaries statement allegedly increasing funding for the sector. The withholding and withdrawal from 2018 – 19 of the new homes bonus payable to local authorities as a reward for ambitious house building plans. This bonus when payable can presently be used by local authorities for spending how they would like. The intention is to scale back these payments and release the saved funds for adult social care. The point is that this is not new money, it is instead existing money being switched from one budget, namely housing to another budget. The increasing in the social care council tax precept from 2% to 3% for the next two financial years. In addition councils can raise council tax by 1.99% without having to have a local referendum. Secretary of State Sajid Javid estimated that the measures would make almost £900 million of additional funding available to adult social care over the next two years. The money is of course required now and if evenly applied (assuming the figures are correct) would give local authorities an extra £450 million for each of the next two years. The facts that seem to presently apply are that 147 of the 151 councils will take up the new social care precept facility. Not all are considering raising the tax by 3%. It is understood that most will also increase council tax by 1.99%. If this prediction comes to pass it is again estimated that this will raise £543 million. That said it is predicted that it will cost £600 million just to implement the increased minimum wage, with this increase having most impact in the lowly paid care sector. The predicted facts clearly suggest that the increased funding boost is not entirely new money that the money will not be available immediately and much is already spent on anticipated wage rises in the care sector. It is fairly safe to predict that the crisis and funding gap in social care will continue and will result in local government cuts in other services. Solutions or at least part solutions have been described in previous blogs. Clearly the only solution is more money, but how is the question. A grown up cross party political discussion does need to be started which in turn needs to involve interested stakeholders and the population generally. We all have a natural interest in this subject given that we are all affected either directly as individuals or collaterally as individuals using the system for the benefit of others. Clearly there is a long way to go and a lot of media coverage before this issue is resolved, if ever!! No matter the shambles it is still vital that the existing system is understood. It is the need to understand what the system can and cannot provide, combined with the need to be persistent and to get advice early that is key. BUSINESS RATES - WILL YOU BE AFFECTED BY THE UPCOMING ADJUSTMENT? If you are a business owner, you should be familiar with the concept of business rates. For those that are not, business rates are effectively a tax levied on premises used for non-residential or commercial purposes and are predicated on the property’s ‘rateable value’ i.e. its open market rental value. If you are a business owner and would like to see your ‘rateable value’, this is something which is published online. The government has set up a facility by which you are able to obtain details as to the property’s ‘rateable value’ and provide you with an estimated business rates valuation. In this respect, please see the following link www.gov.uk/correct-your-business-rates. It has been well publicised of late that many business owners in England and Wales are becoming concerned by the Government’s recent proposals to adjust business rates. Generally business rates are adjusted every 5 years. However, due to a delay by the Government, the last time a business rates adjustment took place in England and Wales was 1st April 2010. Business rates are therefore set to be adjusted in April 2017 and, due to the delay, are significantly more noticeable than previous increases. The proposed adjustment to business rates has been met with widespread concern and criticism as many businesses are being subjected to significant increases. This is not a localised problem but appears likely to impact businesses across England and Wales. Many businesses have even reported that they may have to close due to an inability to meet the increased tax, with some business owners reporting an increase of up to 400%. The Federation of Small Business has recently (“FSB”) warned in particular that London is in ‘serious danger of losing its vital support system of micro and small businesses’. The FSB has further elaborated to confirm that from April 2017 the average small business (with less than 10 employees) will have to pay £17,000.00 to cover business rates. A frequently cited concern in respect of the rising business rates is that online retailers are unlikely to see much change, if any, and will have a further distinct edge over high street shops. The Government has offered its comments to this matter and has accused the media and ratings agents of ‘scare-mongering’. It has also now been claimed that 600,000 small businesses across the country, as a result of the adjustment, will be paying no business rates at all. Additionally, the Government has claimed that £3.6bn has been introduced to support companies affected by the adjustment. It would appear that some businesses are indeed set to benefit from the upcoming adjustment, although those within this category seem to be only a fortunate few. If you own or are purchasing a commercial or non-domestic property in England or Wales, the business rates adjustment is likely to affect you and it is something which ABD strongly suggests that you investigate. If you would like to know more, please contact me. Is it likely to be approved by the Competition and Markets Authority? Dominating the business news in recent days has been the proposed £3.7 billion merger between grocery market titan Tesco and wholesale giant Booker Group. One of the questions which people have begun asking of this proposed merger is whether or not it is likely to be approved by the Competition and Markets Authority ("CMA"). The CMA generally becomes involved in proposed transactions which are likely to impact competition within a particular market. For example, the CMA became involved in 2014 with the proposed $69.4 billion merger between Pfizer and AstraZeneca, although ultimately the downfall of this transaction was AstraZeneca’s rejection of the takeover bid in May 2014. The Competition and Markets Authority ultimately will be able to block the Tesco Booker merger where they have sufficient concern in relation to competition within the particular markets of the two businesses. The key concerns that have been raised in this respect are that although Tesco and Booker operate within two different markets (Supermarket and wholesale markets), there is a significant overlap in relation to competition and an uncomfortable amount of room for abuse. For example, Booker own Budgens, Londis and Premier, all of which operate in direct competition with Tesco stores and One Stop which is owned by Tesco. In addition, a significant part of the Booker Group revolves around wholesale. This includes wholesale to further businesses which may be in competition with Tesco, clearly a concern for those businesses should Tesco later choose to discontinue the wholesale element of Booker or to alter prices or stock. In December 2016 statistics website ‘Statista’ reported Tesco’s share of the UK grocery market as 28.3%. For comparison, the next closest contender is Sainsbury’s who were reported to have a 16.3% market share, closely followed by Asda with 15.3%. Premier, Londis and Budgens unfortunately are not represented specifically in the figure published by Statista but are likely to increase Tesco market share significantly. Tesco’s merger with Booker Group could provide a significant opportunity for diversification for Tesco, clearly a focus of theirs in recent years and evidenced by the advent of Tesco’s banking and telephone operations, their overseas expansion and 2016 purchase of Dobbies Garden Centres. As to whether we are likely to see this new merger proceed, we will simply have to wait and see.